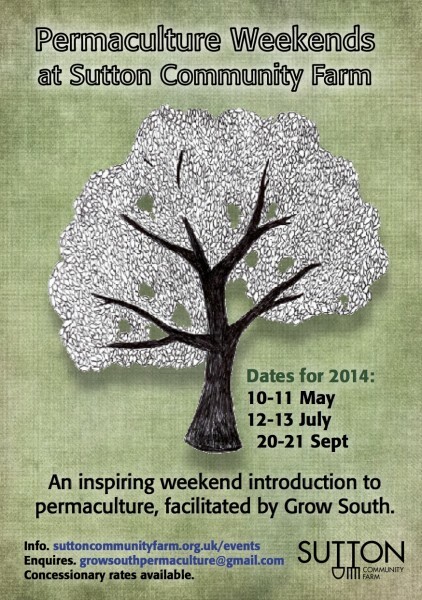 We are really excited to be working with Grow South to offer permaculture weekends at the Farm this year. Highly recommended! Come and be inspired. Permaculture is an approach to design that helps us work with nature to create integrated, productive spaces that have multiple uses. We incorporate permaculture practice into our community farm as much as possible, and invite you to join us for a weekend course. Find out more in our sustainability section or on Grow South‘s website. Grow South are Liz Darley and Ruth Wong. They offer courses that introduce people to the principles and practices of permaculture in a relaxed and friendly natural environment.